Threadless not only reprinted my shirt design but they’ve also added it to the shop in a scoop neck! Thanks so much to everyone who bought a shirt and voted for a reprint! You guys are the greatest! 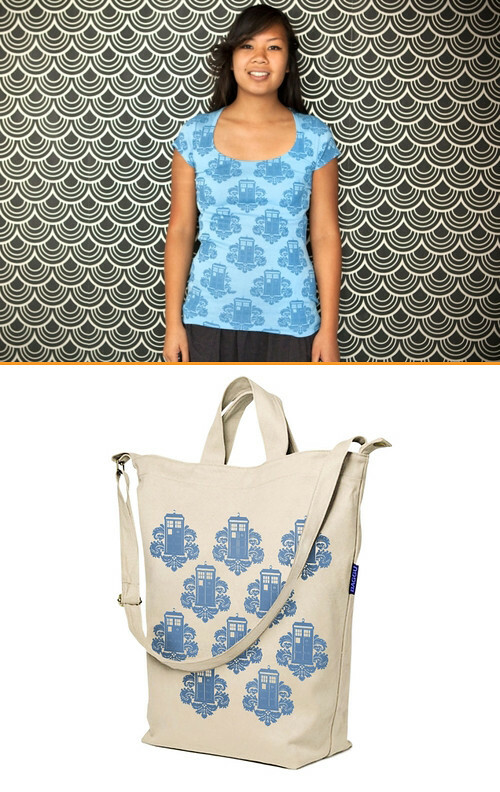 Threadless has also started carrying tote bags with the TARDamask design on them. I picked one up for myself, those bags can fit everything. Lastly, did you know that you can buy fabric with my designs on it from Spoonflower? Well you can right over here! 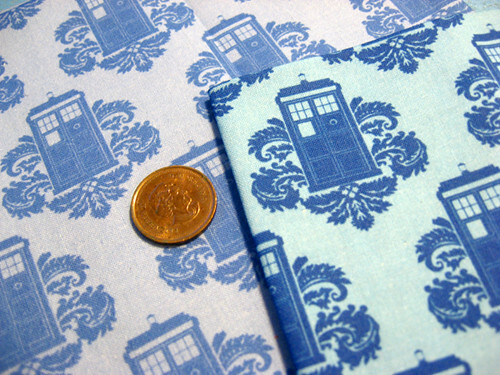 Tags: doctor who, fabric, sale, shirt, tardamas, tardis, threadless.